What is it that makes sports entertaining? Is it watching the thrill in victory, or the agony of defeat? Do we admire and respect our sports figures for their immense talent and skill, something we do not possess, or for their ability to face the challenge and, sometimes, fail to over come it. Golf, baseball and, similarly curling, present a case for the latter. Do we remember Greg Norman for his heroic achievements at the British Open, or for his complete collapse at the 1996 Masters. The answer is pretty clear. By showing us the same frailty in their inability to overcome the tension of the moment, we see these stars are human. We share the same nervous anxiety when we stumble giving a presentation to a large audience, three-putt from ten feet for a $5 Nassau, or babble incoherently when asking the pretty girl to go on a date. We still marvel at the feats of Tiger Woods or Michael Jordan, who may lose to an opponent who bests them on a certain day, but never seem to “choke” when the opportunity for greatness is at hand. Jack Nicklaus was the Greatest, but Arnold Palmer and his collapses in the US Open, Masters and PGA, along with his wins, make him “The King”. Something to me is very appealing in experiencing these moments of sport. Moments with a Greg Norman, Jean Van De Velde, Kenny Perry and, yes, a Kevin Martin. Kevin Martin does not have the records in world competition that anyone would expect from (arguably) the greatest pure curler this country has produced. Kevin Martin beats EVERYONE. Regardless of his team, Kevin has been at the top of Men’s Curling for almost twenty years. He simply Wins. Against every team, at every event….except on the World stage. Is it something more than poor ice, off-days or random chance? In watching Team Canada’s struggles against Scotland in each game they played, I was trying to determine if it was more Scotland playing great or Canada flat. It was clear Scotland took Canada off their game and disrupted their rhythm. Unlike other games the past two seasons, Kevin never appeared to have a clear sense of his strategy or an ability to dictate the flow of play in each game. In the finals, they looked to have this solved, but the final end proved otherwise. Martin “felt” a need to play a more aggressive end. This could be similar to the Brier final in 1997 against Vic Peters, played during the 3-rock free-guard zone era. I can’t recall the specifics, but the final score was 10-8 and Martin had an option to play a conservative final end, but instead chose to be aggressive. Kevin strategically “choked”. 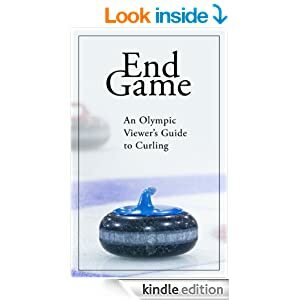 After months of curling, against the best teams in the world, and the hours of practice and preparation, the culmination of a season comes down to the final end. Similar to Kenny Perry, seeing a two stroke lead with two holes the play, he begins to picture the win. The fatigue combined with the enormity of the moment, leads to a mental breakdown at a critical point. Instead of focusing energies on the job at hand: the shot, the putt or the pitch – just as they would normally - the curler, golfer or ballplayer starts to see themselves winning. In an interview with Scott Hoch during the recent CBS Masters telecast, referring to the missed 2 foot putt from 20 years previous, Scott stated he saw himself in the green jacket and could not focus on what he needed to do, get the ball into the hole. Kenny Perry said in his Saturday press conference, when asked what it would feel like to win, that he wasn’t going to answer the question – he needed to stay in the moment. He did for 70 holes, and then his crisp draws turned into evil hooks and his right hand got twitchy. These golfers have both won many tournaments, just as Kevin has, but when the title that they REALLY want to win, The Masters, was close at hand, they got out of their routine, out of tempo and performed well below their ability. I obviously can’t say if the latter was the case. Kevin has been in similar pressure situations many times and shown the ability to overcome these nerves. From my vantage point, and my analysis of the three games played, something with team Martin just didn’t seem right when matched against Scotland. They did not look like the same team that plowed through Canada’s best all year. It seemed to be more than simply shot making. I expect Team Martin will prepare, focus and do all they can to ensure next time to execute to their peak ability and with clear thinking, when the “moment” happens again. Thanks to TSN for the extreme close up of the antique measuring device (and the CCA logo) being used for a World Championship. At a critical point in the game, the Swiss were held to a single when their second rock was deemed “tied” with Norway’s. The gaps in the measuring device were similar to those dial kitchen timers from the 60s. Can’t these enormous prices for tickets go to support some digital devices? If not, at least get someone to “sharpie” some extra lines on the dial so this fiasco doesn’t happen again. No thanks to TSN for constantly missing the leads rocks. Fine, if you need to come back late in the early ends, but in the final end of the final game we missed the first 3 rocks of the end. That’s 18.75% of the end. And the tick attempt in a tied game is perhaps the second most critical shot of the end (other than skips last). Makes it even harder for me to analyze calls if I don’t know what was played. Ray did fill us in on occasion, which is helpful. In the 3-4 Game, Norway chose not to play a corner guard when one down with hammer and Switzerland came into the rings in the 7th end. They played out for a blank. My February article examined the interesting position in the 8th end, where a blank or taking one is essentially the same, but what about the 7th end? In the 7th, Norway has a 40% chance to win when one down with hammer. After they blank, their chance in the 8th is 38%. If they play aggressive and are held to one, they are 35% playing 8th. If this happens in 8, they are 34% starting the 9th end. Doesn’t appear to be a poor decision. What does 3 do? If Norway takes 3 in the 7th, they are in Control with 79% chance. A three in the 8th moves them into Dominant Control and 85% chance to win. I like to stay aggressive, and might prefer to play a corner – but there appears to be some reasoning behind their decision. Another example of strange events for Team Canada. In the 1-2 game, Martin is down one without playing the 8th end. John’s rock doesn’t quite move the Scotland stone far enough, and they lay second. On Kevin’s first shot, they elect to guard. I’d suggest this is a position where greater risk could be taken. Kevin may have thought he’d have something on his next shot – but let’s assume he knew he would not and he is playing out the end to force Scotland to one. Two down with and two ends remaining,. Martin will win 15% of the time. If you’re wondering if Kevin’s numbers are better than our average statistics, they’re not. The Martin team is statistically in line with these numbers. If you add in the small chance Scotland manages a deuce in the end, the 15% is actually high. I would have preferred Kevin to play aggressively for a steal, even at the risk of a big end. He needs to steal 44% of the time to make the risk statistically correct. Clearly he felt his chances weren’t that high – or possibly that he’d have a chance with his last shot. Strange that they were unable to see what Scotland’s shot would leave them – similar to the 10th end in the finals. In the 10th end when tied – tick, tick, peel, peel and then, when in doubt, peel some more. Then draw for the win. Anything else, in my opinion, increases your risk of losing. Did you notice that Marc made both his shots called and his Scotland counterpart missed his – and they lost. Thanks to Scotland for great play and great strategy (long guards, attempting to minimize run-back opportunities for Canada). And thanks for the drama. In the words of Jim Nantz “ It was a World Finals unlike any other”. Amen.